INDIANAPOLIS, IN — On Sunday, June 1, National Children’s Alliance presented Jan Lutz with the 2014 Outstanding Chapter Leader Award for her outstanding leadership as the Executive Director of the Indiana Chapter of the National Children’s Alliance. The award was presented at the Annual Awards Luncheon during the 2014 National Children’s Alliance Leadership Conference in Washington, D.C. (June 1-4, 2014). During her time with the Indiana Chapter of the National Children’s Alliance, Ms. Lutz has developed many statewide initiatives for Children’s Advocacy Centers that have helped to raise awareness of issues surrounding child abuse and neglect, as well as the important role these centers play in the intervention and prevention of abuse. Ms. Lutz has also successfully introduced and delivered various National Children’s Alliance developed initiatives in the state of Indiana by working closely with Children’s Advocacy Centers across the state. In her role at the State Chapter level, Ms. Lutz has shown incredible dedication towards assisting with the development of Children’s Advocacy Centers not only in Indiana, but in neighboring states as well, increasing the reach of the industry and ultimately helping more child victims of abuse find the hope and healing they deserve. “We are delighted to present Jan Lutz with one of our highest forms of recognition for her exemplary leadership of the Indiana Chapter of the National Children’s Alliance. Ms. Lutz is truly a champion for children not only in Indiana, but across the country, and we are grateful for her extraordinary commitment to children’s advocacy centers,” remarked Teresa Huizar, Executive Director of National Children’s Alliance. For more information about Indiana Chapter of National Children’s Alliance , please visit www.incacs.org. And for more information about National Children’s Alliance and the 2014 Leadership Conference and Awards, please visit www.nationalchildrensalliance.org. 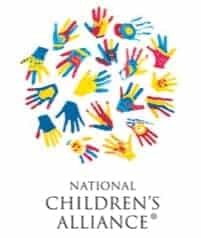 National Children’s Alliance is the accrediting body for more than 770 Children’s Advocacy Centers serving all 50 states and the District of Columbia. Dedicated to helping local communities respond to allegations of child abuse in ways that are efficient and effective, National Children’s Alliance provides support and advocacy to its accredited membership, developing centers, multidisciplinary teams, and child abuse professional around the world. As the national authority on multidisciplinary approaches to supporting child victims of abuse, the purpose of National Children’s Alliance is to empower local communities to provide comprehensive, coordinated and compassionate services to victims of child abuse. Learn more by visiting www.nationalchildrensalliance.org.